Flipkart officially declared that they had done a business of Rs. 600 crore in 10 hours flat. Snapdeal had also announced similar sale, but more subdued, that day. They also managed to do good business. Handful of people who were lucky to bag the hugely discounted products were very happy, but majority of them vented out their anger and disappointment due to many issues they faced including order cancellations, price rigging and website errors. The number of disappointed people was so huge that Flipkart founders had to issue an apology letter to calm them. But in all this, one group of people was seething with anger. The offline Brick and Mortar retailers. With the kind of prices Flipkart is offering, it is impossible for them to compete. And, for them it is a question of their livelihood. And then there are Brands whose products are getting sold at prices, which even they themselves cannot imagine. Such was the impact of the Flipkart sale, that Brands are now considering taking legal action against Flipkart & others. According to ToI, some of the companies are seeking legal opinion, as such predatory pricing is damaging their brand. Even the companies are unable to understand as to how Flipkart can sell their products below their cost price! Even after such tremendous growth of eCommerce in India, nearly 95 percent of business is still generated by offline retailers and with them crying foul, brands are now considering taking off their products from online retailers shelves. The companies are feeling that such predatory pricing is killing organized brick and mortar retail. Warranty on products sold on sites like Flipkart and Snapdeal is one issue that keeps surfacing and companies are of opinion that goods are being sold through unauthorized channel partners, and it is akin to buying from the grey market and will not be covered under warranty. Although, these kind of sales are great for consumers, it has a huge downside as well. What online retailers do is offer huge discounts on only a very limited numbers and depend on consumers buying other products at normal pricing. It is a marketing ploy just like offline retailers do. However, because Flipkart is doing it at such a large scale, every person knows about these low prices, and they expect the same from offline retailers as well. Consumers have now started to have unrealistic expectations of prices when they go retail outlets, which is impossible for them to match. ECommerce in India is no doubt going to keep growing for a foreseeable future, however, with if major brands withdraw from sites like Flipkart, it will become extremely difficult for them to grow. We are currently going through an interesting phase, where eCommerce majors are burning VC money to attract traffic and grow valuations. On the other hand brands and offline retailers are increasingly becoming agitated with their pricing tactics. 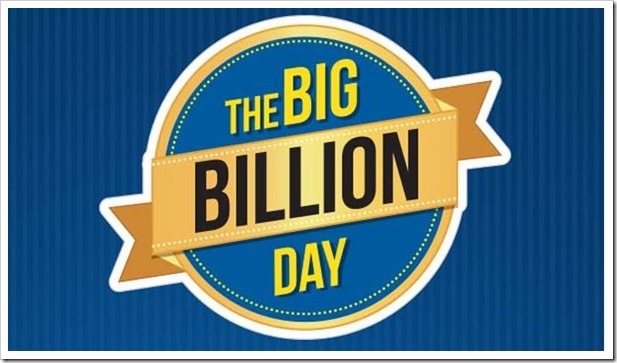 "Brands Too Angry With Flipkart’s Big Billion Day Sale. May Take Legal Action For Predatory Pricing", 5 out of 5 based on 1 ratings. It was violation of MAP(minimum advertised price agreement) and manufacturer and brand can take legal action. If this one Flopkart called BIGGEST DHAMAKA Then What AMAZON Doing Everyday? Making Fool and loot of Money, Long Way For Flipkart. I think it is just upto the seller how he sells its product,and when flipkart is doing this ,it is good,and I don’t think companies like sony,samsung should interfere because they have got the complete price of their product and if after that flipkart is selling the product after purchasing from sony,samsung at low prices ,then Sony,Samsung should not have any concern about it. The redline on the books because of such mind blowing sale was considered as CAQ cost. Now the funny part is since the online stores offer you the comfort, the only thing the user is going to do is compare prices on 3-4 sites. Customer is loyal to price and not any brand. This is a disastrous strategy from flipkart. In a bid to cross gain quick valuation and a quick exit the founder have basically just burning VC’s funding with a false valuation. I see this as the top when flipkart starting going down, unless they restore back to strong ethics and creativity. A friend of mine booked a laptop with them, only to be informed 10 minutes later that the item was out stock. Another one was told that a cream she was ordering would be delivered to her in the first week of December- C’mmon, Flipkart!! Do you need 3 months to deliver a product? Most others were, of course, cross with themselves for wasting time on the site because a majority of the items being offered were labelled SOLD OUT at the beginning of the day. Anyways, Flipkart’s loss was Amazon’s gain.